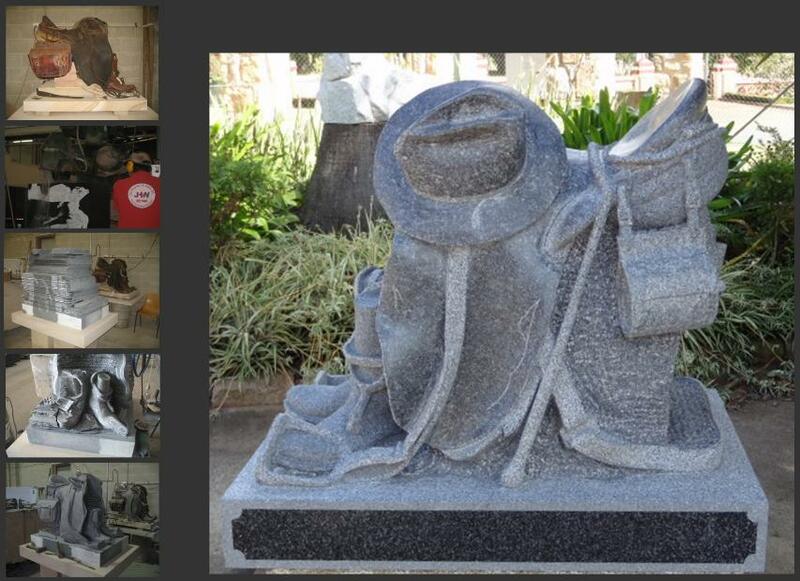 Granite Saddle Sculpture by J.H. Wagner & Sons. Saddle Sculpture by Robert Wagner of J.H. Wagner & Sons. 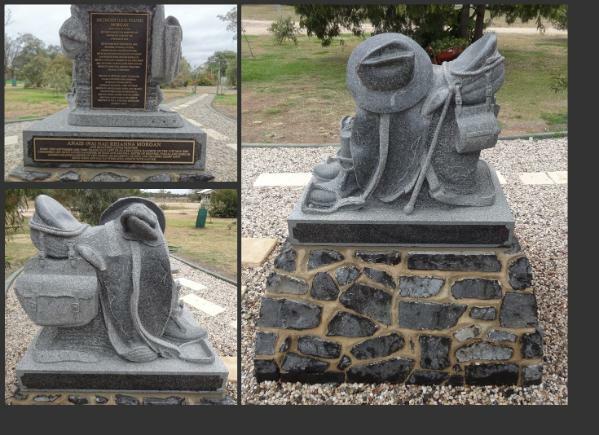 In 2012 a commissioned Australian Grandee Grey granite sculpture of a Saddle, Boots, Hat, Quart Pot and Whip in respect of Methuen "Uen" Morgan carved by Robert Wagner of J.H. Wagner & Sons and located on the family property at Condamine. Carved from one piece of stone incorporating surface finishes and various textures.